Homepage » Free Crochet Patterns » Really Pretty Crochet Dishcloth Free Pattern – Create Stacks Of These Cloths For Gifts! This crochet dishcloth free pattern is easy to crochet and uses pretty basic crochet stitches to obtain something that is both pretty and useful. 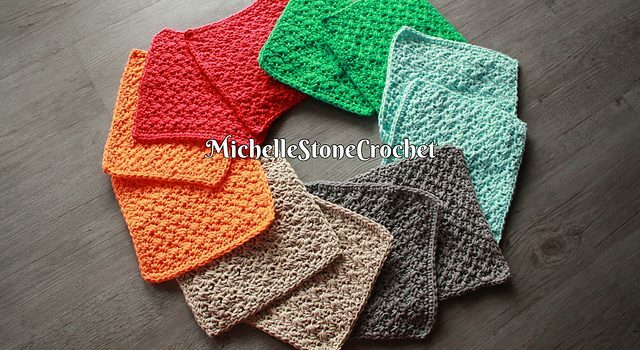 Michelle’s Dishcloth by Michelle Stone is a pattern to use for washcloths as well as dishcloths. You can use it to make beautiful gifts for all your friends. Fun and easy to crochet, this pattern will great texture is great for cleaning dishes. With my pattern I am able to get 2 dishcloths out of 1 skein of lilly’s sugar’n cream. This pattern can be adjusted to make bigger or smaller. There is instructions on how to do this in the notes. 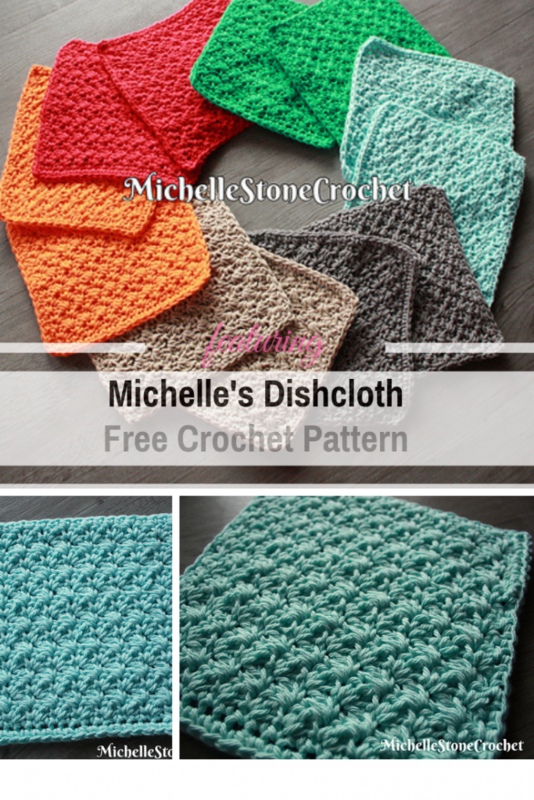 Get the pattern: Really Pretty Crochet Dishcloth Free Pattern. Thanks to Michelle Stone for the article inspiration and featured image.